Living with a picky eater is one thing. But living with a picky eater who is a bit ocd, well, that is something completely different. I was expecting Hawaii. Maybe the beach or Disney World. Possibly even the local movie theater. Instead, I got this . . .
Ok, I have a confession to make. I’m not the smartest guy. And I wasn’t even sure if I’d heard of Kazakhstan, much less knew where it was. I was left with just one question: Why? There was no real reason. He had just heard of it, liked the name, thought it would be interesting to visit. I don’t no anyone in that country, but their Department of Tourism might want to think about hiring my son to develop a promotional campaign for them. I can hear it now . . . “Escape the pressures of your life and escape to the wonderland that is Kazakhstan. . . ” Yep, it’s right up there with Disney and Branson when it comes to those family vacations. And so, as you might imagine, the wonderful country of Kazakhstan is a much discussed region around our house now. For breakfast recently, I made some Kazakhstan toasts. 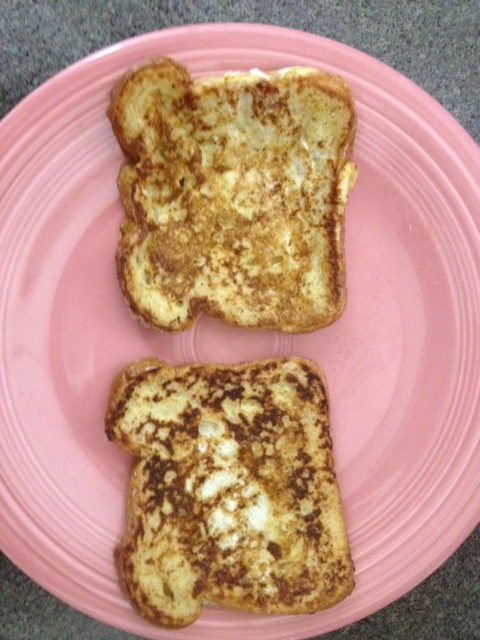 They’re just like French toasts, only spelled differently. I figured that was a lot cheaper than the airfare to the country. Plus, no one would have to get any shots . . . at least not until after they’d eaten. Thanks! I’m glad you enjoyed it. I’ve never been to Kazakhstan, and I doubt I go on my next vacation when the beach is so much closer!